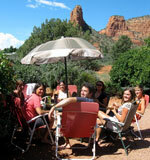 Sedona School of Massage is an Arizona massage school nestled in the beauty of the Sedona, Arizona red rocks. Our 700 hour certification program satisfies the requirements for Arizona state licensure and prepares students to sit for the MBLEX. Life is short . . . do what you love! 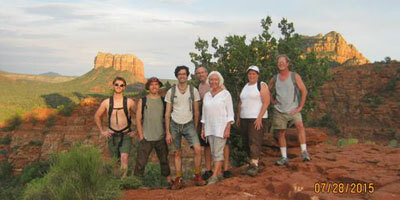 At our Sedona Arizona Massage School, we offer a wholistic education focusing on some of the deeper, more effective modalities, in an atmosphere of relaxation around learning. We encourage students to be here for "the sheer love of learning"! Within the Anatomy & Physiology portion of the program we're presenting the cutting edge research available today that demonstrates the underlying science supporting the body/mind connection. Anyone can learn anything if it's interesting, and there's nothing more exciting then understanding how your body/mind worksits all about you! The bodywork modalities covered are: Swedish, Polarity, Connective Tissue Therapy (myofascial techniques), Shiatsu, Neuromuscular Therapy, Ortho-Bionomy® Cranial-Sacral Therapy, and more. Movement is life, so as we study Kinesiology, the muscles and their movements, we also integrate yoga, nomadics, chi gong, ball spinning and juggling, and hiking into the wild nature all around us! Along with being a higher education it's fun! Communication and the development of therapeutic skills, ethics, and basic business practices are woven into the curriculum...with an introduction to Herbology, Homeopathy, Aromatherapy and Hydrotherapy. 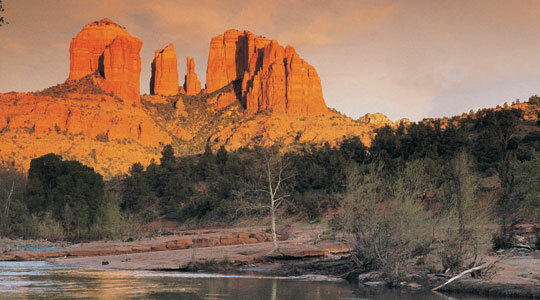 If becoming part of a rewarding and growing profession inspires you, we invite you to explore what our Sedona, Arizona massage school has to offer.